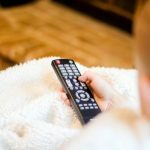 Do you know a mama who never seems to stop? She’s home with the kids. She works outside or from home. She hits up the gym then has a meeting to help with a school fundraiser. 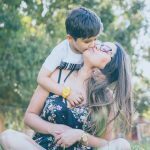 The busy mama is taking on the world in every way possible. Give her a gift that will make her full days a little easier. 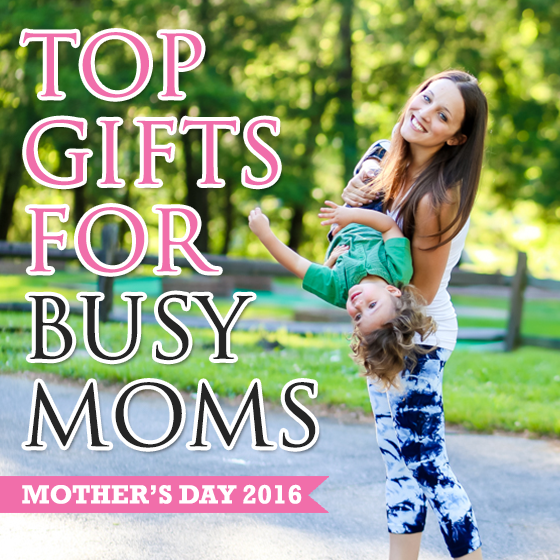 Here are our top picks for busy moms! Looking for a fashionable Mother’s Day gift for your avid photographer? 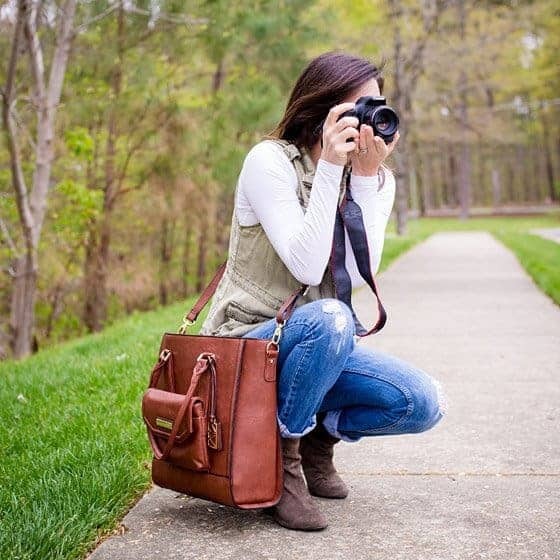 Kelly Moore Bag have the perfect combination of high-end vegan leather camera bags that double as beautiful handbags. 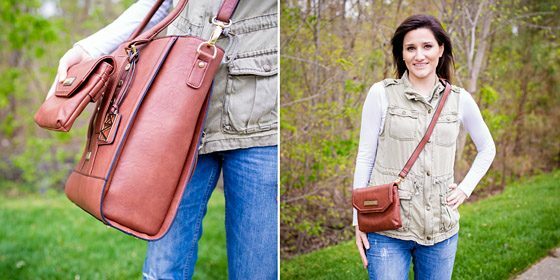 The Monroe, which features multiple purses in one, is a must-have for moms on the go that don’t like to miss those every day moments without sacrificing their look of the day! It is also the perfect bag for students; big enough to carry a laptop, notebooks, and an iPad. We love the beauty of a quality handbag and the function of a carry-all all wrapped into the stunning Monroe. The Monroe bag features multiple purses in one. The main compartment serves as an excellent camera bag with removable, padded dividers for holding a camera and extra lenses. Envelope pockets line the sides for easy storage, and a removable padded basket keeps all cameras and accessories safe. A detachable side clutch can easily and quickly be removed to become a fanny pack or messenger purse without compromising the function of the main bag. By using detachable messenger straps or shoulder straps, the Monroe bag can easily be carried a variety of ways. For moms toting laptops or iPads on the daily, internal pockets make it the ideal computer bag for on the go. 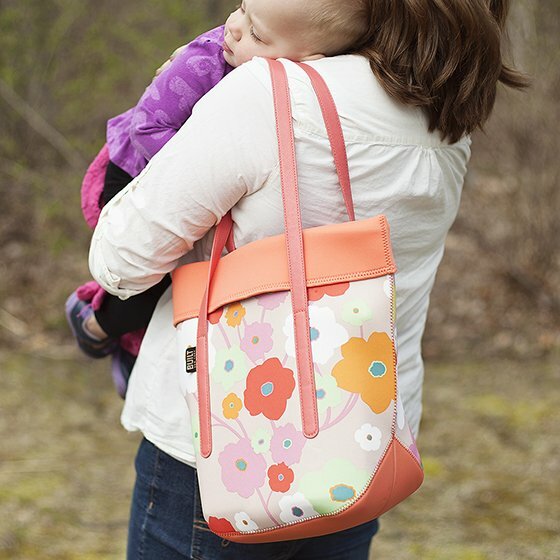 We love all of the versatility that the Monroe bag has to offer for fashionable moms, photographers, and students alike! 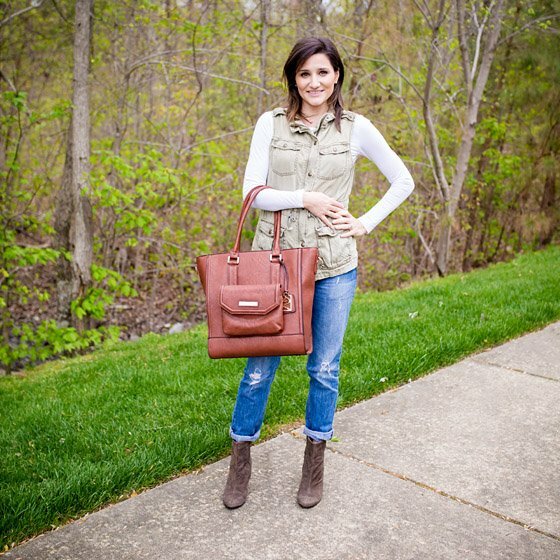 Kelly Moore began selling gorgeous camera bags in 2009, after founder and owner Kelly Moore Clark realized the need for camera-carrying moms to have just one carry-all bag that fit beautifully into their wardrobe. 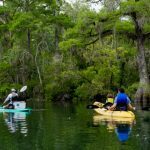 Since then they have continued to create a number of beautifully styled and designed bags for carrying cameras and lenses, books and laptops, and mother and baby items – essentially anything you could possibly need on the go. With luxe fabrics and chic designs, there is a bag to perfectly fit into anyone’s busy lifestyle. Can you imagine straightening your hair by just brushing it? That is exactly what the Dafni Hair Straightening Brush does. This ceramic brush will revolutionize how you get ready in the morning; no clips, no complicated gadgets or products. 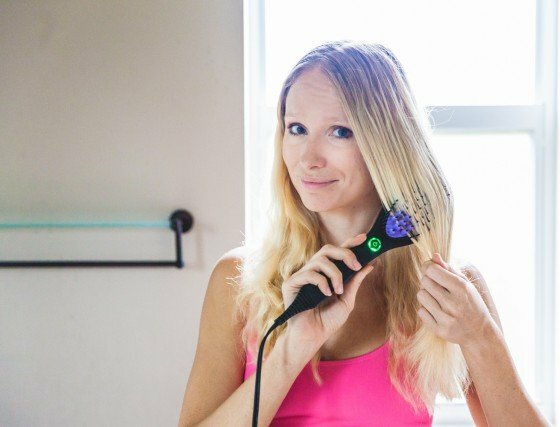 All you do is brush your hair and you are out the door with smooth, shiny hair. 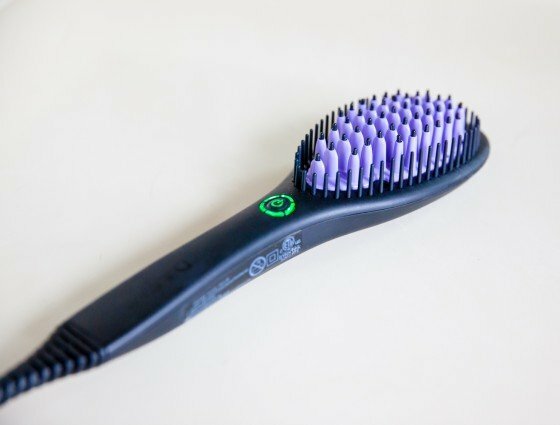 This brush fits perfectly into the hectic life of a mom. Even with a toddler at your feet, you can straighten the curliest of hair in two to three minutes. Simple to use, no twisting or clamping. Just brush your hair! Dafni was created when its inventor, an electrical engineer, invented a hot brush in his basement for his daughter. She had received a bad hair cut but didn’t have time to straighten her hair everyday. The hot brush worked! After 2 more years of research and development, Dafni was perfected by the inventor and his daughter, who is also an engineer and physicist herself. We love products created out of necessity by parents and their children, and Dafni is a truly inspiring family story of ingenuity and success. If the mom in your life is an adventurer at heart but cant quite leave home without a laptop, consider a gift for Mother’s Day that is not only stylish and a pleasure to take along, but also practical and functional. 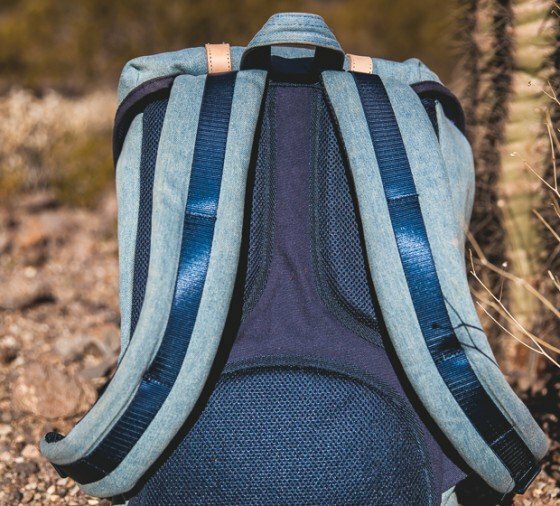 In fact, with a backpack from Herschel Supply Co., you couldnt make a better choice. 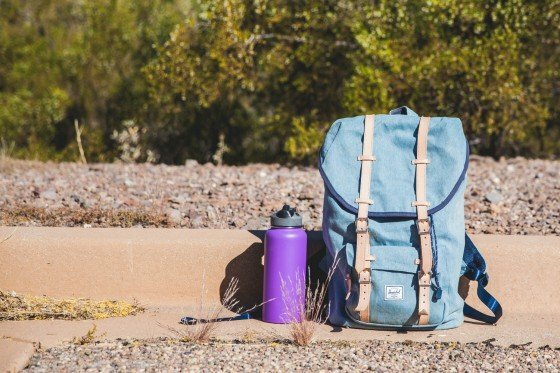 Designed for those who need a sturdy backpack or for anyone who appreciates simplicity and function combined with an outstanding and elegant design, youre in for a treat. 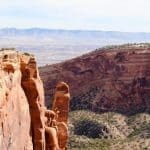 The Little America Backpack is a fantastic companion for any adventure: big or small, in the wilderness or in the city. With enough space to keep your laptop, gadgets, books, documents and any other essentials your special one cant be without, and with a classic touch of mountaineering style and superior functionality, this gorgeous backpack will be the perfect accessory she can rely on, offering timeless design and great comfort in one beautifully-made, practical backpack. Since 2009, the Vancouver-based company has been creating accessories focused on great design and attention to detail. 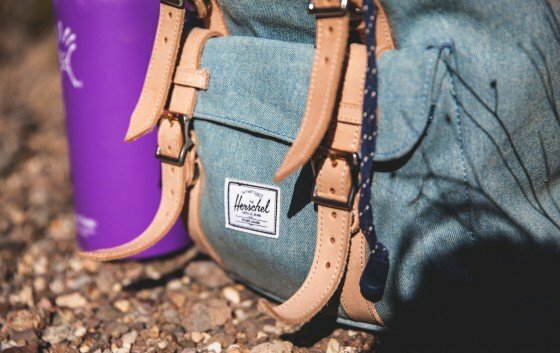 Producing some of the finest global accessories for travelers, creatives, youths and kids, Herschel Supply Co. has something functional and timeless for everyone. Drawing inspiration from all corners of the world and without compromising on quality, the design-driven brand aims to provide a timeless and elegant solution for all your accessory needs, no matter where the day may take you. For Mother’s Day, treat your mom (or yourself!) 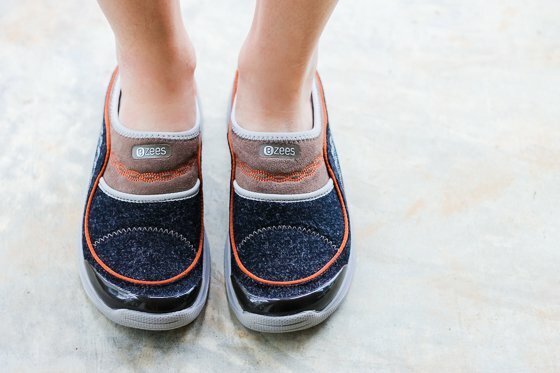 to a pair of uber comfortable slip-on shoes that will make running errands, yard work, and walking the dog no longer chores, but peaceful experiences for your hard working feet. These stylish and unique slip-on mules are the epitome of comfort and laced with the best in footwear technology, bringing you a shoe that makes mom life easier and prettier! 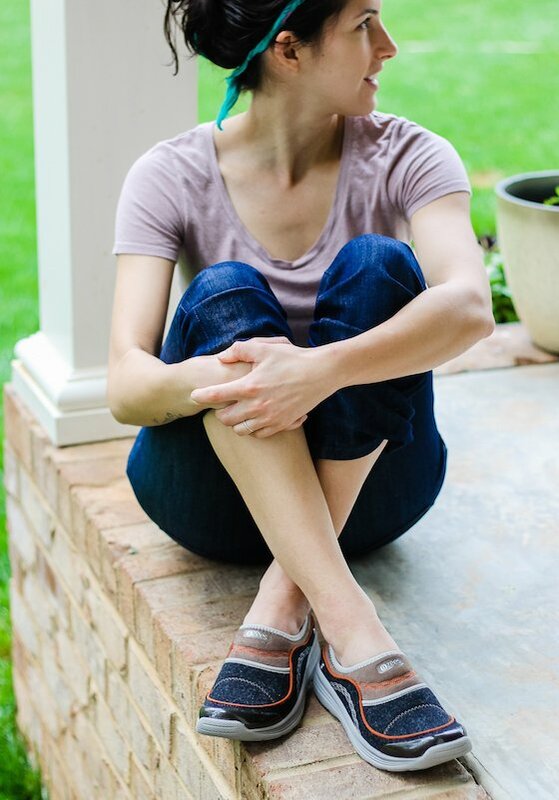 Bzees is a fun and funky shoe brand that takes comfort and wearability to a whole new level! 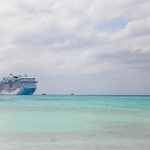 With a huge offering of tons of different styles and designs of shoes, from sandals and wedges to boots and slip ons, there is a pair for every personality and every need. What makes Bzees the bomb is their Cloud Technology which assures that their shoes are lightweight, stretchy, and beyond comfortable. The air infused outsole, dynamic stretch uppers, and free-foam footbeds make walking on a cloud totally possible! The best part, hands down, has to be that every pair of Bzees can be tossed in the washing machine after a long, strenuous day of walking on air. We hope the mothers in your life are fabulous (that goes without saying! ), staying fit, and having fun! 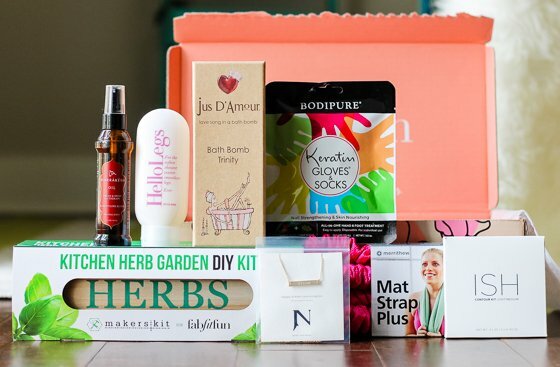 So why not treat them to a gift box this Mother’s Day full of fabulous, fit, and fun products that are sure to make their special day a little more exciting. 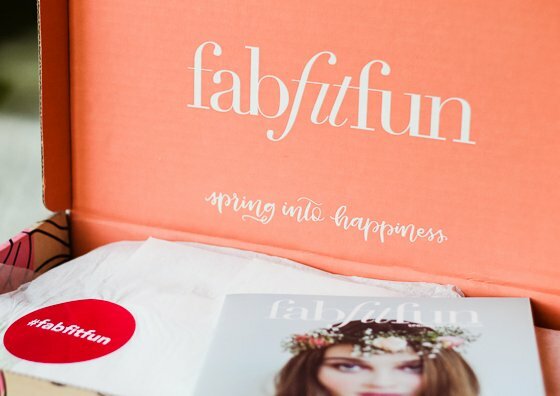 FabFitFun’s Spring Box comes with a large selection of full-size, premium, and unique items that are tailored to springtime, as well as to all the areas in a woman’s life, including beauty, fashion, fitness, wellness, and the home. Bodipure Keratin Gloves & Socks: A deep conditioning treatment for silky smooth, springtime ready hands and feet. Jus D’Amour Bath Bomb Trinity: For making bath time more luxurious, relaxing, and deliciously smelling. Ish Contour Kit: Highlight those features like a pro with this all-inclusive palette. Mat Strap Plus: More than just a yoga strap, it gives your workout versatility and makes carrying your mat easy and stylish. Kitchen Herb Garden DIY Kit: Grow essential herbs on your windowsill in this easy, everything-included DIY kit. Marrakesh Hair Oil: Pamper your tresses for springtime with this Argan and Hemp Seed oil miracle potion. Jook & Nona Gold Plated Necklace: Embrace the tiny necklace trend with this delicate 18k gold-plated over stainless steel bar. HelloLegs Lotion: Get your legs springtime smooth with the help of this satiny lotion. 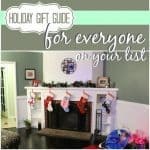 Plus gift cards, a FabFitFun magazine, and more! 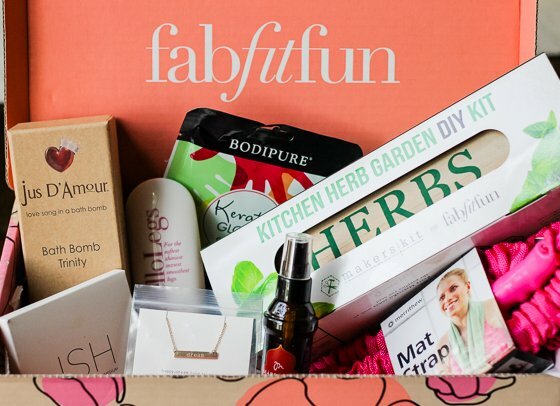 California based, FabFitFun, is one of the coolest box subscriptions on the market today, made just for women! Once you become a VIP member, every 3 months you’ll be sent a seasonal gift box loaded with new, unique, and fabulous products, dedicated to all things woman: including the areas of beauty, fitness, fashion, home, and wellness. Not only do you receive the latest and greatest full-size products out there for a killer deal, but you have access to the FabFitFun community where you can share tips, tricks, and encouragement on being fab, fit, and living a fun life! Daily Mom readers can receive $10 off your first FabFitFun box by using coupon code DAILYMOM! Choosing between style and function is often the dilemma when it comes to tote bags. 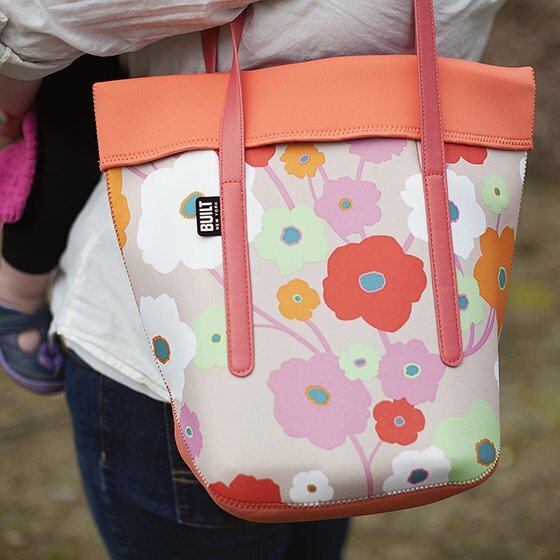 Busy moms are constantly on the lookout for a beautiful bag that can stand up to the wear of everyday use. Built NYs City Tote is the answer! The City Tote can hold all of the day’s essentials together in one fashionable bag, but folds flat and is very compact for storage. 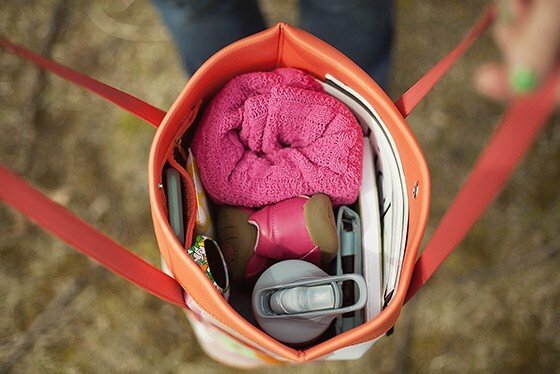 You’ll be amazed at how much you can fit into a single bag! Our favorite thing about this bag is that it’s made from wet suit neoprene, making it extremely lightweight and protective against spills. When accidents do happen, it wipes clean quickly and easily. The interior pocket is the perfect size for holding keys and a cell phone, and the faux leather straps are the perfect length for mom to wear it over her shoulder or carry it in her hand. We think the Bright Flower pattern is a beautiful look for the transition to spring and summer activities, but it’s available in 6 different prints, so you’re sure to find one that the mom in your life will love! Built NY believes that great design makes everyday life better. They offer a collection of innovative, stylish and protective goods inspired by the city that never sleeps. Check out their lunch bags, kitchen items, wine and bar collection and totes, all designed for making life easier when you’re on the go. Moms love wine. They relax with a glass at the end of the day. They share a bottle with their best friends for a girls night. They celebrate the good days and lament the bad days with a glass of wine. 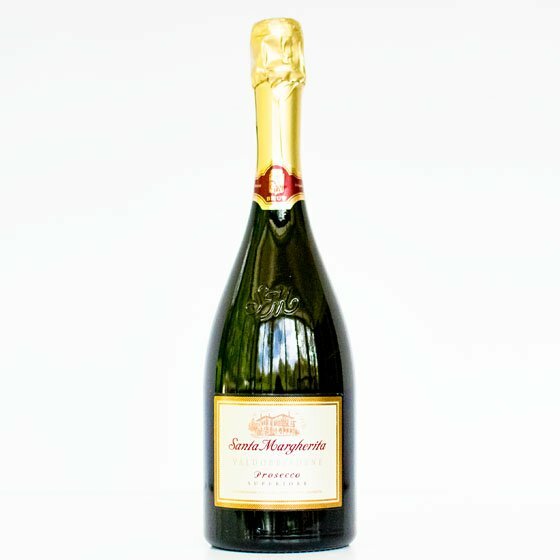 Skip the box of wine and treat the moms in your life to some Italian wine that is truly a treat from Santa Margherita. The Pinto Grigio Impronte del Fondatore Alto Adige is a refreshing white wine. 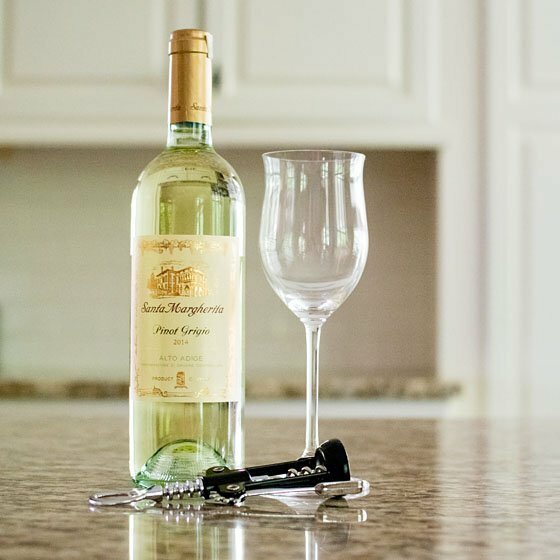 It “marries the classic pear and apple-like fragrances with elegant hints of florality and citrus.” This versatile wine pairs well with seafood and white meats. It also goes well at the end of a long day of chasing kids around. 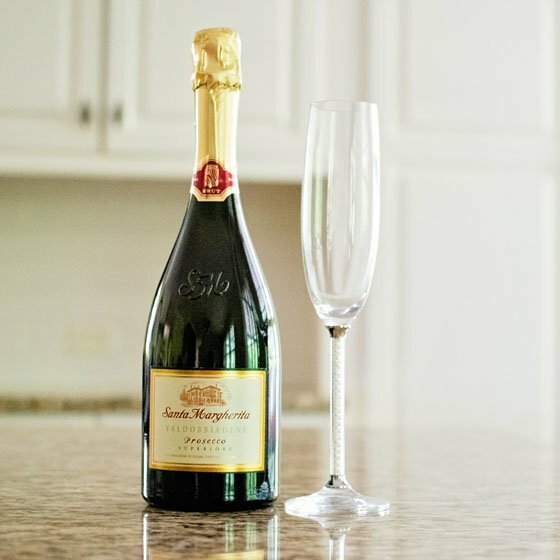 The Valdobbiadene Prosecco Superiore is a sparkling white wine with “the floral aromas of peach and acacia blossom as well as the fruity hints of Rennet apples and pineapple.” There is nothing like the bubbles on your tongue from this Prosecco. It pairs well with delicately flavored meals and is perfect to celebrate a child-free date night or night out with the girls! Santa Margherita was founded in 1935 by Count Gaetano Marzotto and is now representative of the Santa Margherita Wine Group. Headquartered in Veneto, Santa Margherita wine is grown in the most beautiful wine regions in Italy. 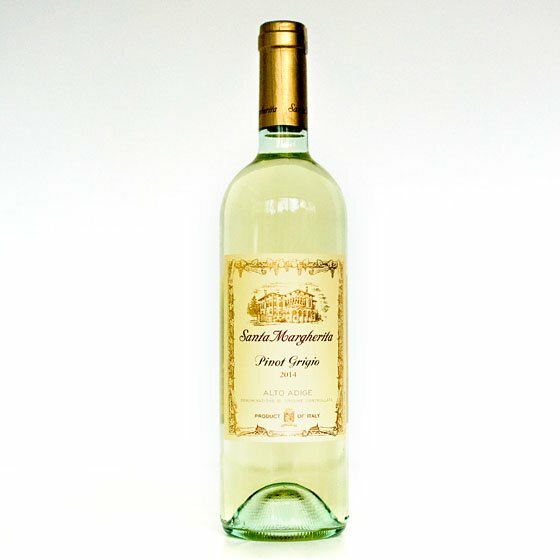 Well known for their Pinot Grigio, Santa Margherita offers white, red, sparkling, semi-sparkling and rose wines. All their wineries have a focus on eco-sustainability, caring for the environment through sustainable and energy efficient practices. Their world renown wines are a must have for any wine collection. 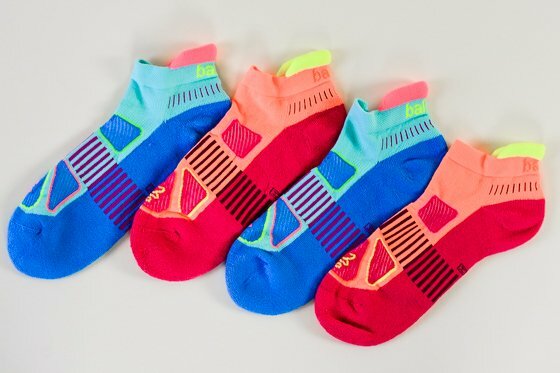 Made with the same quality and impeccable design as all of the running socks in Balega’s lines, the Enduro No Show socks are the perfect gift for the active mom in your life this Mother’s Day. These socks are made with hand-linked seamless toes for ultimate comfort while walking or running. 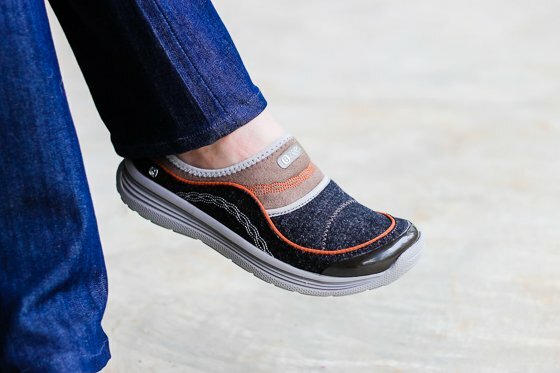 Their special mesh ventilation panel keeps active feet cool and dry and wicks away sweat, and they are made with arch support and protective ankle cushioning that takes comfort to a whole new level. She will absolutely love these low-rise, no-show socks for laps around the track, trips to the gym or daily wear. They are truly top-of-the-line when it comes to athletic wear! Be sure to grab a pair in every color combination, so she always has a pair ready to go for any activity that pops up. “We provide foot solutions to help runners perform at their personal peak in comfort. In doing so, we are afforded an opportunity to get involved in building closer, caring communities around us. We strive to be consistent, reliable, operate with integrity and to excel in everything we do so that every day we can add value and operate in the true spirit of ubuntu with: OUR RETAIL PARTNER COMMUNITY, OUR RUNNING COMMUNITY, OUR WORLD AROUND US”. 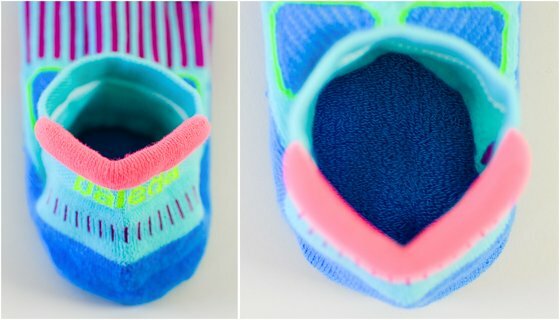 This American/South African company is dedicated to making quality, comfortable socks that will fulfill all of a runner’s needs. The fit, feel and performance of their socks is founded on research, design, technical excellence and durability. 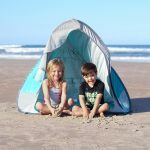 They are manufactured at their state-of-the-art facility in Cape Town, South Africa, utilizing the best performance yarns made in the United States. Balega’s socks are the most technically advanced of any on the market. 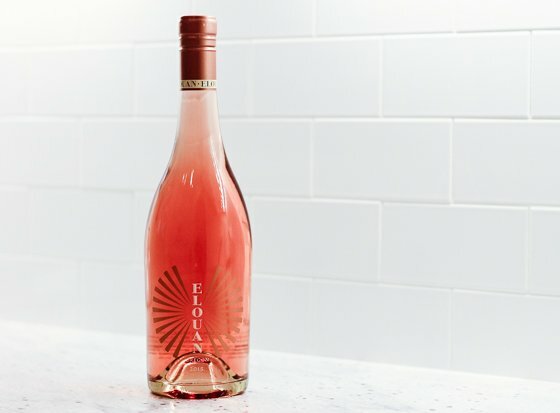 For most of us here at Daily Mom, mothering and wine go hand in hand, so if we were gifted a bottle of Elouan’s newest rosé wine, we’d be one happy mama! 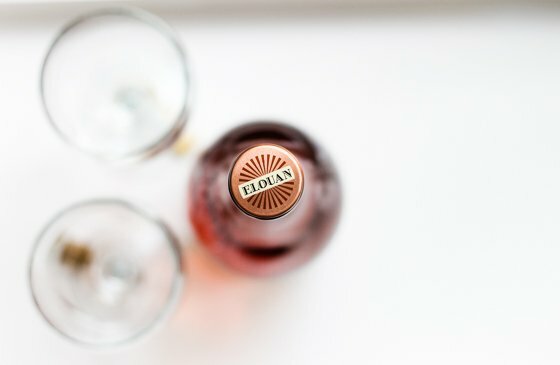 And, since this brand new addition to the Elouan family tastes like a raspberry field, a strawberry field, and a lemon tree all in one, you can say we’d be extra joyful on Mother’s Day… and you’d find us sitting on our front porch rocking chair with a glass in hand as soon as the cap came off… cue me-time! 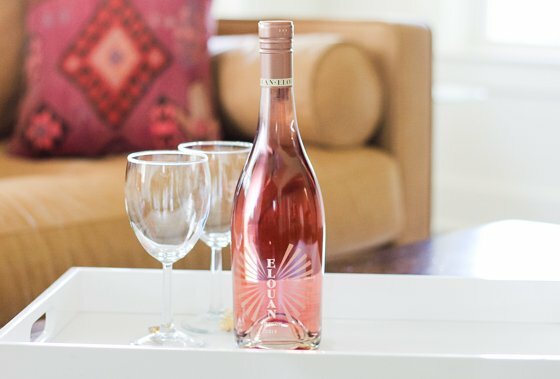 Buy a single bottle or save big by joining The Copper Cane Wine Club, which will deliver a selection of wines (including Elouan) to your door as often as you would like based on their offerings. 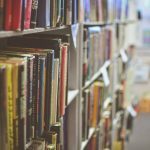 When you focus on making one (or two!) things great, chances are you will succeed, and thats exactly what Joe Wagner did when he created Copper Cane Wine & Provisions, a company that encompasses a small selection of elite wine brands, including Elouan (meaning good light in Celtic), a spectacular Pinot Noir wine from the hills of Oregon, and now the brand new 2015 Rosé. With unparalleled dedication, a natural talent, and years of winemaking under Joes belt, he utilizes the ideal location of the coastal Oregon hills with its perfect lighting, supple soil, and unique climate (cool weather with abundant sunshine) to create wine that is full of depth, vibrancy, and rich flavor. Looking for the perfect Mothers Day gift for that mom who never stops running around? 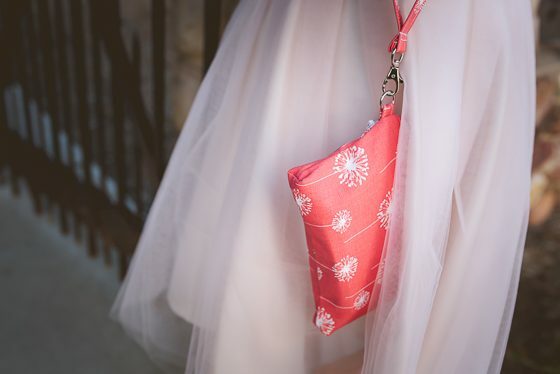 Melissa Elayne has an option that is sure to help; The Large Wristlet for iPhone 6 Plus -Coral Dandelion. This little clutch is the perfect size for moms on the go. It’s big enough to carry an iPhone 6 plus or Samsung Galaxy, yet small enough to throw into a diaper bag. The material is visibly strong, yet it still feels soft. 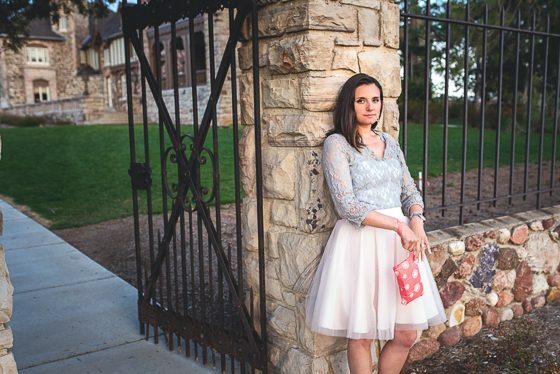 Melissa Elayne’s handmade purses are both durable and lovely. This small, affordable purse is the a perfect accessory for any woman. 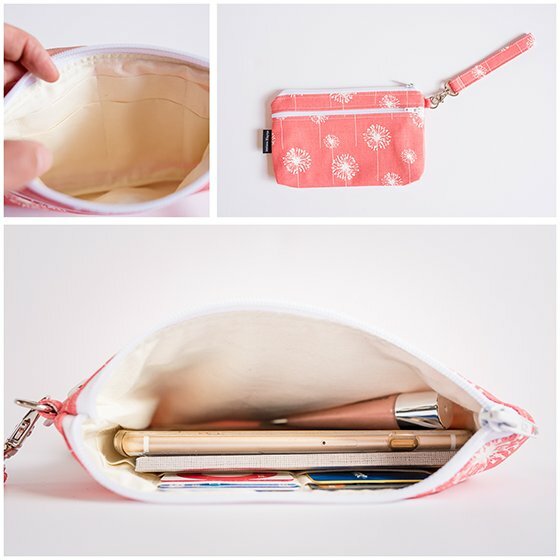 The Large Wristlet for iPhone 6 Plus -Coral Dandelion is an oversized wallet that you can throw your keys, cards, cash, and even some lip gloss into before heading out the door. 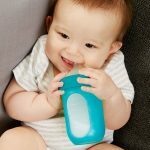 It’s also perfect to keep stocked with all the basics, ready to toss into any purse or diaper bag as you head out the door. Great news! 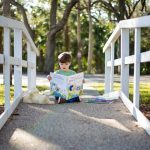 Melissa Elayne has an exclusive discount just for Daily Mom readers for the next 4 weeks (expires May 15th). You get 20% off your total purchase on her website or Etsy Shop. 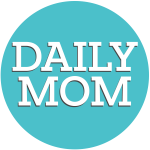 Enter code: DAILYMOM upon checkout. Melissa Elayne is a husband and wife team based out of Oswego, NY. 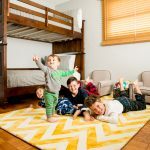 What started to supplement their income has grown into a full-time small business that supports them and their family of 5. 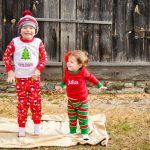 They provide high quality, personalized gifts, handmade wristlets, and purses. Their customer service is amazing and their attention to quality and detail couldn’t be more apparent. Try a unique gift this Mother’s Day that can make every moment in your life special. It all starts with the trendy new Louvelle DAHLIA shower cap in Marrakesh Mauve. Unlike other shower-wear, this turban inspired shower cap allows you to be fashionable in and out of the shower. Because it’s a chic turban style you won’t think twice about wearing this shower cap anywhere, and no one would be the wiser. There are two styles – Amelie – a more streamlined paneled style and Dahlia, a more voluminous knotted style; both are available in multiple patterns so that you can find the look that suits you best. The best part is that you will not only be stylish, but you can be rest assured that your hair will stay dry due to the snug fit, and unique high tech fabric that makes it water repellent. As soon as you’re done, just wring it out to dry and hang it, so it’s ready for the next time. Louvelle shower wear is inspired by the pages of fashion magazines – a glamorous sophisticated turban style. It’s the shower cap perfect for the modern woman who wants to look chic in the shower. 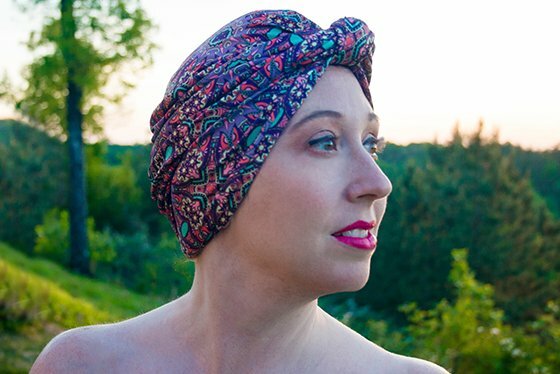 No longer do women have to hide in the bathroom in case someone catches a glimpse of them in the most unflattering of traditional shower caps! Now that you have some ideas for the busy mom that you are celebrating this Mother’s Day, check back in with Daily Mom for more gift ideas.